UNITED STATES: Discount retailer Target has agreed to buy 40MW of wind power from a Starwood Energy Group project in Texas to offset the power used at 60 of its stores. 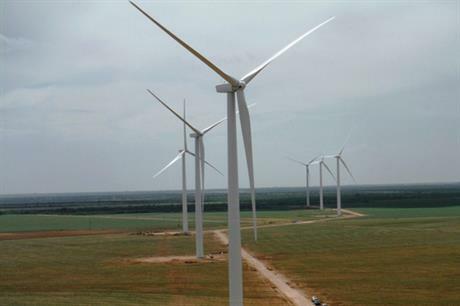 Target will buy the power from the 211MW Stephens Ranch wind farm in northwest Texas. The project comprises 118 GE 1.7MW turbines and was completed in 2014. "We're thrilled to make our start with wind power in Texas, a leading market for wind energy. As we learn from this project, we'll also be looking across the country for more opportunities to get involved in renewable energy projects in communities where we do business," said Target vice president of property management, John Leisen. Target follows a number of other US firms powering their operations with wind as the trend of non-utility buyers continues to grow. In October 2015, consumer goods group Proctor and Gamble agreed to buy 80% of the power from EDF Renewable Energy's 123MW Tyler Bluff project in northern Texas, when it comes online later this year. Tech firms Facebook, Apple, Google, Microsoft, and Amazon Web Services have all signed agreements to power data centres from wind energy.